THE LITERARY CAREER of Imre Kertész has been as full of improbable twists as any melodrama. Born in Budapest in 1929 to a highly assimilated Jewish family (“the kind of non-Jewish Jews who still fast on the Day of Atonement, at the very least up to noon,” he recalled in his characteristically laconic tone), Kertész was deported to Auschwitz in 1944. He survived there and in Buchenwald until the camps were liberated, and then returned to Hungary, where he worked as a journalist, a factory worker, and a freelance writer and translator. It took him a decade to complete his first novel, an account of his Holocaust experiences called Fatelessness, and when he finally finished it, publishers in Communist Hungary wanted nothing to do with it. Fatelessness did not appear until 1975, and then to very little acclaim; nor were his succeeding novels, such as Kaddish for an Unborn Child (1990), given much attention by Hungarians. By a grim irony, it was in Germany—where Kertész had connections as a translator of modern German literature into Hungarian, and where he eventually moved—that his work had the biggest impact. 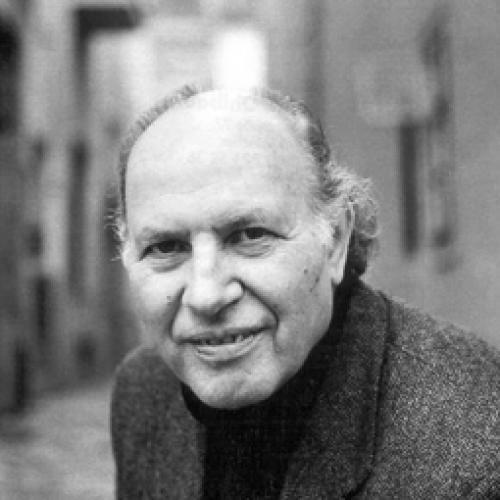 Even so, Kertész was obscure enough that it came as a surprise when he was awarded the Nobel Prize for Literature in 2002. Though he was the first Hungarian writer ever to win the Nobel, the award earned Kertesz the hostility of right-wingers and anti-Semites at home, resentful that a Jew who wrote openly about his alienation from Hungarians should be so honored. In America, meanwhile, only a couple of his books had been published in small editions, and his name was almost totally unknown. After the big prize, Kertész’s books began to appear in new English translations by Tim Wilkinson, but out of chronological order. Fatelessness introduces Kertész’s alter ego, the teenager Gyorgy Köves, whose concentration camp experiences track his creator’s (but not, Kertész has insisted, with complete fidelity). Kaddish for an Unborn Child, the next book of Kertész’s to appear in the United States, was the third book in a trilogy, featuring a middle-aged Köves who explains, in a long, furious monologue, why he refuses to bring a child into a world capable of the Holocaust. It is only now, with the publication of Fiasco, that we have the book that came in between, the second volume in Kertész’s trilogy. If Fatelessness was written with a bright mock-naivety that led to comparisons with Candide, and Kaddish employed the harsh comic rant of Thomas Bernhard, then the presiding ghosts of Fiasco are clearly Beckett and Kafka, those modern masters of confusion and despair. With his other books (since by then writing books had become his occupation, or rather—to be more precise—things had so transpired that this had become his occupation) (seeing as he had no other occupation) he merely devoted the time that was absolutely necessary to get them written, which was essentially a function of their thickness, because (since things had so transpired that this had become his occupation) he had to aim to write books that were as thick as possible, out of carefully considered self-interest, since the fee for thicker books was fatter than that for slimmer books, for which—since they were slimmer—the fee was correspondingly slim. This voice, this method of comically refining and qualifying the expression of banality, will be familiar to anyone who has read Beckett’s fiction. And the plot of the first section of Fiasco, such as it is, comes directly from Beckett’s play Krapp’s Last Tape. Looking for inspiration, the old boy rummages through his file cabinet and reads out old notes and memoranda, only to deflate their pretensions with muttered exclamations—just as Krapp does while listening to his audiotaped reminiscences. The effect of these auto-interruptions—“Aha!” “My God!”—depends on a sure sense of timing and of the comedy of repetition, which Kertész happily possesses. But while Beckett must have brought something new to Kertész’s Hungarian prose, turning that prose into English only emphasizes how much it owes to Beckett. The result is that Fiasco sounds rather more familiar in translation than it must have in the original—one of the ironies of literary influence. I closed the book and put it aside with the feeling that this fact, which I came across at random among 400 pages of further facts … might rightly find a place among the symbols of the human imagination—but on one condition: only if they had not occurred. Since they did occur, it is hard even to imagine them. Rather than becoming a plaything, the imagination proves to be a heavy and immovable burden, just like those boulders in Mauthausen: people do not want to be crushed under them. While my destiny was with me—which is to say, while I was writing my novel—I had no experience of these kinds of concerns. Anyone living under the spell of destiny is liberated from time. Time still marches on, of course, but its duration is irrelevant: its purpose is solely to accomplish that destiny. But what happens when Kertész has accomplished his destiny—when he has transformed his Holocaust experience into Fatelessness, and sent it out into a largely indifferent world? He finds that he still has to write, because he can no longer do anything else. This is the second, subtler fiasco: the fiasco not of failure but of achievement. And so, despite all his protestations—that he has nothing to say, that his old notes do not interest him, that he only wants to retire—the “old boy” does, in fact, sit down to the typewriter and produce a novel: the novel within a novel that constitutes the second, longer part of Fiasco. Thus, on page 119 of the book, we are greeted with the heading “Chapter One,” and the “old boy” gives way to Köves, Kertész’s old narrative alter ego. At the same time, the Beckett atmosphere gives way to a dense Kafkaesque fog. Köves wakes up to find himself on an airplane, leaving Budapest for some faraway destination—“he had already been flying for sixteen hours.” But when the plane lands, he disembarks into what is plainly Budapest—only it is the city of the late 1940s, the city as the young Köves experienced it when he returned from Buchenwald. But the pianist merely smiled with sealed lips at that. ‘Is there any way of knowing over what?’ he then returned the question to Köves. ‘No, there isn’t,’ Köves admitted. Cleverly, Kertész allows us to see how the “invented” story of Köves mirrors the “true” story of the old boy. In the novel’s last pages, Köves ends up in a philosophical dialogue with a man named Berg—a former war criminal, though we never learn exactly what he did—that echoes the ideas of the first part of Fiasco. And the image of the Dutch Jews carrying their boulders, with its cruel echo of the myth of Sisyphus, returns in a riddlingly literal form in the novel’s final pages. By the end of this tricky and powerful book, it begins to look like a Mobius strip or a snake swallowing its own tail—an apt emblem of a life devoured by art, and an art devoured by what its creator had to live.